Sunday may be known as the Ottawa 67’s annual Teddy Bear Toss game, but despite the name, we don’t discriminate here at Barber Poles HQ. Toss a stuffed animal of all kinds – bears, pigs, cows…even racoons (just don’t try to heave Riley the Racoon over the glass, please). The important thing is that a new or gently used plush toy flies onto the ice the moment the 67’s score their first goal of the game. The Teddy Bear Toss, the 2017 installment of which goes Sunday against Sudbury at the Arena at TD Place, is a tradition that has been adopted around the CHL and one that has been part of the 67’s seasons dating back to 2000. In perhaps one of the most fun ways of involving kids in the charitable donation process, the hundreds of toys that litter the ice following that first goal are scooped up and given to less fortunate children over the holidays. Think about the number of kids that will be given an extra reason to smile over Christmas if fans can match or beat the Ottawa record of approximately 6,000 toys thrown onto the ice last year. That’s a lot of stuffed swag! The origins of the Teddy Bear Toss game date back to the 1993-1994 season, with the Kamloops Blazers the first to make it part of their schedule. It quickly caught on in the Western Hockey League before people like 67’s owner Jeff Hunt brought it east during the early 2000s. It has been a mainstay ever since and a focal point on the 67’s calendar, as it is for teams around the league. The Calgary Hitmen are the most recent club to break the record for most stuffed toys thrown onto the ice during the Teddy Bear Toss game, with 27,851 stuffed animals raining down during their game on December 6, 2015. Most recently, the Hershey Bears collected 25,017 stuffed toys during their December 3 game. 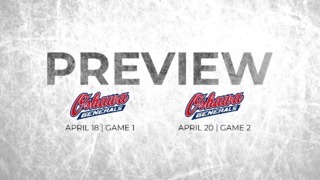 The opening faceoff between Ottawa and Sudbury is set for 2 p.m. on Sunday and you can get your tickets here! 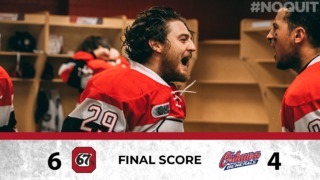 The 67’s are also in action the day before when they host Niagara at 7 p.m.
2016: Overage forward Patrick White opens the scoring at the 3:37 mark of the first period to make it rain stuffed toys at the Arena at TD Place. The 67’s defeat the Oshawa Generals 4-1. 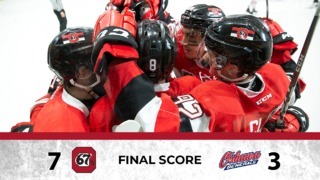 It was a big win for the 67’s at the time against a powerhouse Oshawa team. 2015: Then-rookie Austen Keating first of three goals in the game unleashed a flurry of some 2,500 stuffed toys onto the ice. Despite Keating’s first-career hat trick, the 67’s lost 8-5 to the Sault Ste. Marie Greyhounds. 2014: Kevin Groulx only scored two goals in his 22 games for the 67’s but one of them was a big one as he notched the first goal in the December 12 game against the Belleville Bulls midway through the first period to unleash the teddies. The 67’s won the game 4-1. 2013: A bright spot in what was otherwise a tough game for the Barber Poles, Troy Henley scored his first-ever OHL goal against the Barrie Colts on Dec. 18 – 19 games into his rookie season – to send the stuffed toys flying onto the ice at Canadian Tire Centre. Ottawa lost the game 7-2. 2012: For the 12th anniversary of Ottawa’s Teddy Bear Toss game, Ryan Van Stralen scored his fifth of the season less than four minutes into the game to trigger the plush avalanche and give his team the lead. Unfortunately, it wouldn’t last as Ottawa went on to lose 3-2 to the Plymouth Whalers.